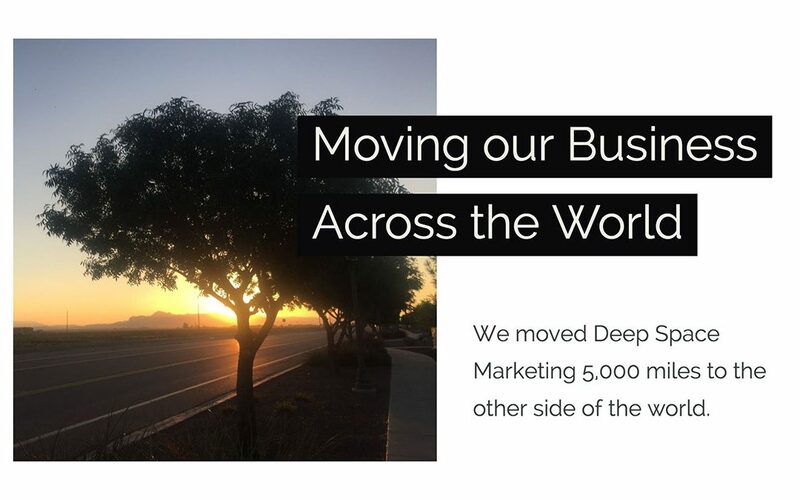 Deep Space Marketing has just completed a huge move from Gilbert, Arizona, where the company was founded in 2009, to Framlingham in the U.K. which is where we are both from originally. Making the decision to move our social media marketing business from Arizona back to our home country of the U.K. wasn’t an easy one. In the 8 years we have been in business we have been lucky enough to work with a great selection of clients in Arizona, California, Illinois and Canada. We have worked wth clients of all sizes in all industries. From small coffeehouses like Bergies Coffee Roast House in Gilbert, Arizona to Dignity Health, the fifth largest hospital system in the U.S. So deciding to up and leave for our homeland should have been a tough call right? No! While we had natural concerns about how our clients would receive the news that we would be managing their social media from another timezone and country, we knew we had a plan in place to ensure smooth continuity of service. – Slack: Free instant messaging, uploading images and files and online calls make team communication and collaboration easy. We have a Slack teams for the majority of our clients and the ability to group different subjects for discussion into ‘channels’ makes our communication even more efficient. – Email: You may think that Facebook Messenger is going to take over the world (it might! ), but for now email is still the beating heart of most business communication. Deep Space Marketing uses ‘Gmail for Work‘ and with their Inbox app we manage our email communication efficiently. – iMessage & Facetime: Not all our clients use iPhones but I would guesstimate that 75% of them do. For smaller businesses that don’t have the time and desire to work in a Slack team, iMessaging photos and videos (great for Instagram Stories) is a quick and easy way to share content. When we want to get all important ‘face to face’, we schedule a FaceTime call and yes, it’s all free. So staying in touch with clients on the other side of the world is easy. Thanks to video calls and efficient communication, working together on social media marketing strategies offers no additional challenges. So has it all been smooth sailing since moving back to the U.K.? Well, we do have to remember to add a ‘u’ in favourite for our new British clients! Deep Space Marketing is now based in the beautiful Suffolk town of Framlingham. We have taken all the lessons we learned from marketing businesses on social media during the last 8 years and are busy applying them to strategies for our clients old and new. Let us take care of your social media while you get on with doing what you do best.